The snare drum is arguably the most important part of a drummers kit and should be one of the first things that should be upgraded when you are ready to move your kit to the next level. There are many different materials that a snare drum can be made out of, all having different sounds and qualities, and all serving different purposes. Here you will find a guide of the most common materials and their qualities. Maple is the most common wood used in snare drums, and for good reason. Maple generally has a warm sound because of the fact that it has an even distribution of mid and high frequencies and boosted low frequencies. Maple is very clear sounding and has a wide tuning range making maple snare drums very diverse and generally good for many applications. 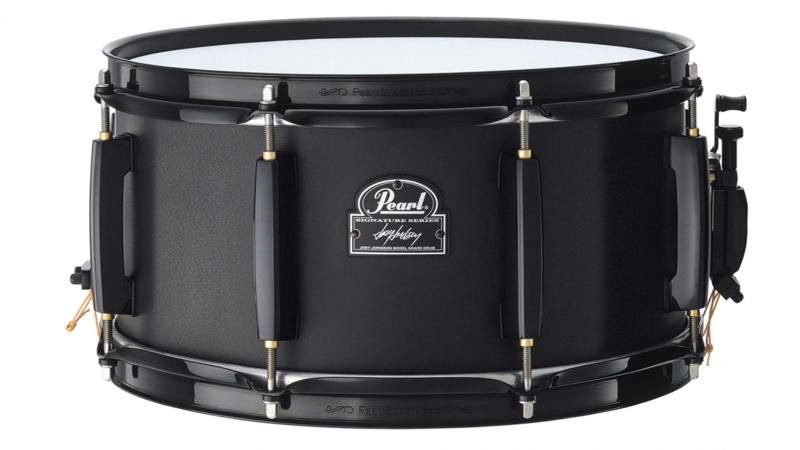 All major drum companies make decent maple snare drums, but a good example of one would be the Pearl Masters series snare drum, which runs for around $300-$400 depending on the size. Birch is a very hard wood and is much brighter than maple. Raised highs and lows give this wood projection as well as tone. Birch is a very crisp sounding wood when used in a snare drum and should be used in applications where extra cut and presence is required. A popular birch snare drum is the Mapex MPX Birch which can be bought for as little as $130. Beech is also a very hard wood, but is much warmer than birch. Beech is much like a hybrid between maple and birch, with the warmth and fatness of maple and the cut of birch. Beech has boosted lows and even mids and highs. Beech snare drums are not as common as maple and birch. Oak is very strong and projects very well. The sound of oak is fairly round, and very present. Oak has boosted lows, mids and highs, although the mids and lows are boosted to a lesser extent. An example of a good oak snare drum would be the Yamaha Live Custom Oak which is around $300. Mahogany used to be the industry standard for snare drums, but that has changed and maple has taken its place. Mahogany offers a very warm sound with boosted lows and to a lesser extent, boosted mids, giving mahogany drums punch. Mahogany snare drums offer a very classic sound. An example of a nice mahogany snare drum is the Pearl Omar Hakim Signature Snare which can be bought for around $500. Poplar is fast growing, meaning it can be quickly grown in large quantities, making it a fairly cheap wood. This means that it will often be found on entry-level snare drums. This however does not mean that it is automatically bad sounding. The sound of poplar is similar to that of Birch or Mahogany. It can be found on snare drums such as the Pearl Firecracker, which is often used as an auxiliary snare drum and can be bought for $110-$150 depending on the size. Steel snare drums have a very powerful cut and a very distinct rimshot sound, making it perfect for cutting through loud music. 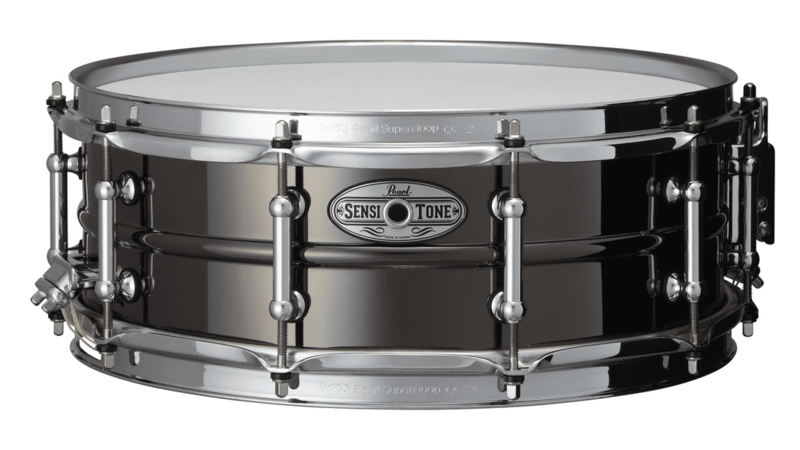 Steel snare drums are inexpensive to produce, making them common on entry-level drum kits. An example of a quality steel snare drum is the Tama Metalworks Steel snare drum series which ranges from $120 to $300, again depending on the size of the drum. Brass snare drums are very crisp, though also very warm in their sound, giving them a sound that could be likened to a mixture between a metal and a wood snare drum. They also have clear rimshots that can cut through loud music. A great brass snare drum is the Pearl Sensitone Elite Brass snare drum, which starts at around $230. Aluminum snare drums are also crisp and defined although they have less sustain and are often drier than other metal snares, meaning that they do not necessarily need dampening like other metal snares often do. The Ludwig Acrolite is a common and classic aluminum snare drum, which sounds fantastic. It can be bought for around $400 new. Copper snare drums are darker and have a warmer tone compared to other metal snare drums. Copper snare drums are often found in orchestral music because of the fact that they are not as bright. A good copper snare drum is the Ludwig Copper Phonic, which will cost you from $770. Bronze snare drums are not extremely common, however they can be found. Their sound is quite dark and warm, again making them very good for orchestral music. A bronze snare drum would be the Ludwig Hammered Bronze snare drum, which will set you back around $760. No matter what kind of a drum your looking for — or what sound you’re looking for — there’s bound to be something for you. This guide is a great place to start, but as usual, it’s always a good idea to go to your local music store to try things out before buying.